We are appalled at this, but most Christians are just like Hetty Green when it comes to our spiritual riches. And the first three chapters of the book reveal to us what these possessions are. These are the spiritual riches—the spiritual blessings—the spiritual possessions—we have in Christ. 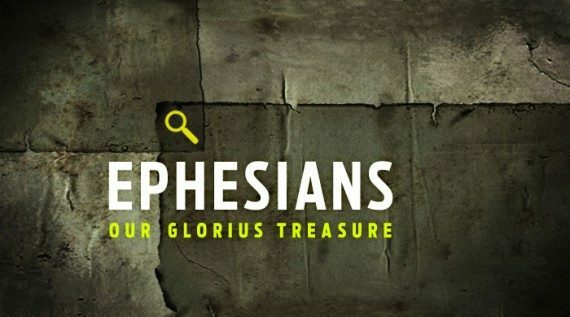 We begin to discover these by looking at the first two verses of Ephesians 1. I know it seems like there is not very much in these verses, but as we get into them, you will see just how much there really is. Every verse in Scripture was put there to teach us (2 Tim 3:16), and verses such as these are no different. Ephesians 1:1-2. Paul, an apostle of Christ Jesus by the will of God, to the saints in Ephesus, the faithful in Christ Jesus. Grace and peace to you from God our Father and the Lord Jesus Christ. In these two verses we have eight items, which come in four pairs of two. Paul has carefully crafted this letter. We have two sources of authority, two characteristics for believers, two blessings for believers, and two sources from which all these blessings come. The author of the letter, of course, is Paul. He is the author, but in this first part of verse 1, he tells us what his authority is. He tells us why he is qualified to write. First, he is an apostle of Christ Jesus. An apostle is one who is sent by God with a message to those who have not yet heard the good news. It should be noted that there are no more apostles today. We have all probably heard of apostolic churches, and men or women claiming to be apostles of Christ. The Catholic Church claims that the authority of the Pope is based on apostolic succession. But all of these teaching are wrong. Let me show you why. One of the requirements to be an apostle is to have personally seen and heard Christ (1 John 1:1-3), and to have witnessed His resurrection (Matt 28; Luke 24; Acts 1:22; 10:41; 1 Cor 9:1; 15:4) and ascension (Acts 1:9-13). An apostle was one who was hand-picked by Jesus for this office. Paul was an apostle, but as one abnormally born (1 Cor 15:8-9). He was the last apostle chosen by Jesus for this office. Since all of these events are not repeatable—someone alive today was not present when Jesus was alive, or saw Jesus after He rose from the dead, or watched Him rise into heaven—then there are no apostles today. They are irreplaceable by any subsequent generation. Scripture bears this out as well. There are almost eighty references to apostles in Scripture, and nearly all of them refer to either the Twelve Apostles, or to Paul. All of the other leaders in Scripture are known as ministers and fellow laborers, but not apostles. We’re going to see later in the book that there might still be the spiritual gift of apostleship, but this gift is not to be confused with the office of apostle. Those with the gift of apostleship today we most often know as missionaries to unreached people groups. To clear up confusion, we don’t call them apostles. Instead, we call them missionaries. But more on that later. So Paul’s first source of authority is that he was an apostle of Jesus Christ. He was set apart, chosen by God, to be sent with the message of the gospel to the Gentiles. This is what God called him to do. Secondly, he was an apostle by the will of God. This is not something he took upon himself. This is not something Paul earned. It is something God called him to be and do. Some people tend to think that only pastors and missionaries are who they are by the will of God. But I’m telling you right now, everyone is called by God to do something, and if you are doing what God has called you do, then your calling is just as valid and as important as any other. Paul has said, “Paul, an apostle by the will of God” but a corporate executive could say “Chuck, a corporate executive by the will of God” or a gas station attendant could say “Jim, a gas station attendant by the will of God.” One is not better than the other IF they are both there by the will of God. All jobs and positions are by the will of God if the person is doing what God wants them to do. So the first part of Ephesians 1:1 gives us Paul’s two sources of authority. He was the apostle of Jesus Christ by the will of God. In the rest of verse one, we see who Paul is writing to. Paul is writing to the church in Ephesus. And here we have two characteristics for the believers in Ephesus. He first calls them saints. The word “saints” in the Greek is hagios. It literally means “holy ones.” Saints, or holy ones, are those who are set apart for God’s use. When we think of saints, we often picture statues in cathedrals, stained glass, miraculous appearances, and mystical encounters. We get most of these ideas from the Catholic Church. The Catholic Church has a practice of “sainting” dead people who obtained a certain level of holiness during their life and who have at least two verifiable miracles to their credit. So in the Catholic Church, very few become saints. All of India, and much of the Catholic world, has been buzzing about the presentation to the Vatican this week of the case of an Indian woman said to be the recipient of Mother Theresa’s first miracle—a significant step toward Theresa’s canonization. Monica Besra, a mother of five, tells TIME that on September 5, 1998—a year to the day after Theresa died—she was writhing in pain from an abdominal tumor at a home, run by the Missionaries of Charity. ‘There was no way any doctor would have operated on me at that hour,’ she says. ‘So the nuns just started praying and kept a Mother Theresa medallion on my stomach. The pain subsided, and the tumor vanished.’ Episcopal Bishop Salvatore Lobo, head of the team that will deliver 35,000 pages of Theresa’s good deeds to the Vatican, says, ‘This miracle meets the requirements. It is organic, permanent, immediate and intercessory in nature.’ A second miracle is still required for sainthood. Is this the way it works? To become a saint, do you not only have to have an impressive list of good deeds—35,000 pages worth in this case—but also at least two miracles to your name? No, Scripture everywhere tells us differently. And right here in verse one is one of these places. These saints in Ephesus were alive, not dead, and it is clear that they had never performed any miracles. Paul shows us here and elsewhere (Col 1:2; Php 4:21; 1 Cor 1:2) that all believers are saints. He is not writing to a few of the spiritual elite within the congregation. To Paul, a saint was anyone who had believed in Jesus. So he is writing to all Christians—and here he calls them saints. In fact, this will be a favorite theme of his in Ephesians. He refers to “saints” nine times in this letter (NASB: 1:1, 15, 18; 2:19; 3:8, 18; 4:12; 5:3; 6:18). All Christians are saints—even if we don’t act like saints, even if we don’t perform miracles. So when Paul shows that he writing to the saints in Ephesus, he is right away showing them one of the blessings they have in Jesus. Paul is writing to the saints of God in Ephesus. And I, in turn, am sharing this letter with all the saints that are here today. If you have believed in Jesus Christ alone for eternal life, you are saints! But the fact that the believers in Ephesus are saints does not explain why Paul chose to call them this. There are many other names he could have called them that would have been just as true. For example, Paul could have just as easily written to the “sinners” who are in the church at Ephesus, right? Just because we become Christians does not mean we stop sinning—and it was the same for the Christians in Ephesus, so Paul could have truthfully called them sinners. But why did he choose “saints”? To help answer this question, let me ask another question. Do you know what a self-fulfilling prophecy is? A self-fulfilling prophecy is when you predict something in such a way so that it is almost certain to happen simply because you predicted it. For example, many parents today verbally abuse their children by telling them they are stupid and they will never amount to anything. After a while, the child believes it, and when the child grows up—they never amount to anything and often end up involved in criminal activity. But other parents, understanding the power of encouragement and suggestion, tell their kids how wonderful they are, and that they are so smart, or so athletic—and when these children grow up, they become studious, hard working, intelligent and responsible members of society. Now, there is balance between these two—when a child sins, he or she needs to be told that they have sinned and be disciplined for it. If this does not happen, they will grow up to be egotistical and arrogant. And Paul has done this in his other letters. When believers in a church are sinning, he writes to correct them. But here, in Ephesus, he has a wonderful church, and rather than calling them sinners—as he could truthfully do—he encourages them by calling them saints. He was hoping that if they thought of themselves as saints, then they would act like saints. How do you think of yourself? We should see ourselves as sinners and in need of constant grace and mercy of God, but over and above this, we need to see ourselves as saints. When we all begin to see that in Jesus Christ, we are saints, I believe we will begin to act like it. Paul was an apostle, set apart, chosen by God for a task. Saints are also set apart, chosen by God for a task. What task? As we study through Ephesians, we will find out. So Paul is first of all writing to the saints in Ephesus. But also, Paul is writing to the faithful in Christ Jesus. This is the second characteristic of the believers in Ephesus. The church in Ephesus, as we have seen, was one of the strongest and most mature churches that existed at that time. So Paul is praising them here for that. He is saying, not only are you saints because you have believed in Jesus Christ, but even better, you are faithful saints. You have placed faith in Jesus, and you are standing firm in the faith. So, let me ask a question. Does this mean that there can be unfaithful saints? Can there be saints who do not act like saints? Can there be “sinning saints”? Saints who fail to live in obedience to God—but who are nevertheless still saints? Of course! The church is full of them, and so is Scripture. To find examples of unfaithful saints in Scripture, one just has to read some of Paul’s other letters. Almost all the believers in Corinth were not living faithfully. In 1 Timothy, Paul mentions two unfaithful saints by name: Hymenaeus and Alexander (1:20). And in 2 Timothy 2:13, Paul tells us to be careful lest we become faithless. But the saints in Ephesus were not like this. There were faithful saints in Christ Jesus. How did they become this way? Not by accident. Becoming a faithful saint is not something that just happens to you. You will not become a faithful saint simply by attending church on Sunday. No, faithful saints are made by discipline and hard work. Discipline in knowing who you are in Christ and what you are to do. Discipline in reading, studying and applying God’s Word to your live. Through discipline of prayer, of witnessing to others, and in living a holy life. Becoming a saint is easy—all you have to do is believe in Jesus for eternal life. Becoming a faithful saint, however, is the most challenging but also the most rewarding, enjoyable and exciting thing you will ever do in life. There’s never a dull moment for the man or woman who is trying to become a faithful saint. Notice also that Paul says they were faithful in Christ Jesus. This is a favorite term of Paul’s. Paul uses this term or one similar (in Christ; in Him) 164 times in the New Testament—and 36 of those (22%) are found in Ephesians. The term is rich with meaning and significance, and is a main theme in this letter. So the saints in Ephesus were also faithful in Christ Jesus, and Paul greets them in Ephesians 1:2. Ephesians 1:2. Grace and peace to you from God our Father and the Lord Jesus Christ. First, he gives two blessings for believers. Grace and peace. This is the typical way that Paul starts almost all of his letters, but should not be ignored. Paul understood grace (Acts 9:1-18; 1 Tim 1:15-16). Paul, the chief of sinners, was chosen by God to share God’s grace to the Gentiles. Paul was the apostle of grace. He was the most qualified person to speak on grace. So what is grace? What made Paul so excited to share about grace? Grace is God’s unmerited favor. It is the blessings of God poured out upon those who do not deserve it. To better help you remember what grace means, you can use the acrostic: G-R-A-C-E – God’s Riches At Christ’s Expense. Grace does not cost us anything. There is no such thing as cheap grace. Genuine grace is always free for the one who receives it, but costly from the one who gives it. It is free for humans, but very expensive for God. It is free for us, but cost God his only Son. Grace is another favorite theme of Paul’s, and so he starts with grace. But it is because of grace, that we can have peace—peace with God and peace with ourselves, and peace with others. Grace is the fountain from which the river of peace flows. In a world like ours, peace is a wonderful blessing for the saint of God. And these two blessings, grace and peace come, finally, from two sources. They come from God our Father and the Lord Jesus Christ. It is interesting to note that these two sources of Christian blessing are also the two sources for Paul’s authority: he is an apostle of Christ Jesus, by the will of God, and our blessing comes from God and Jesus Christ. Sometimes people are confused when our Savior is addressed this way. Why are three names used? What do they mean? Briefly, the term Lord is a title—like King or President. The term Jesus is His actual name, and the term Christ is why He came—it reveals His mission to be the Messiah—the Savior of the world. By the way, the word and used here is the word kai in the Greek which here reveals equality. Jesus Christ, though he has a different function and role than God the Father, is equal in power and authority to God. Both are equal. Both are God. And both of them together are the two sources of the believer’s blessings. From here, Paul launches into the Spiritual Possessions, Blessings or Riches that we have in Christ. As we study them, let us not be like the elderly man and woman reported about in the Los Angeles Times who were found dead in their apartment. Autopsies revealed that both had died of severe malnutrition, although investigators found a total of $40,000 stored in paper bags in a closet. Let us not be like them, for as Christians, we, like this elderly couple, are rich! As Paul reveals to us what our riches are, let us put them to use, rather than stuffing them in the closet. Only when we do this, can we become spiritually mature, and bring glory to God. What are the first three chapters of Ephesians about? What are all Scriptures profitable for (cf. 2 Tim. 3:16)? Who is the author of the letter? What is the author’s first source of authority? Are there apostles today? Why or why not? Is it possible to distinguish between the office of apostle, and the spiritual gift of apostleship? If so, what do we call those who have the gift of apostleship today? What is Paul’s second source of authority? What positions or jobs are “by the will of God”? Is your job or position “by the will of God”? 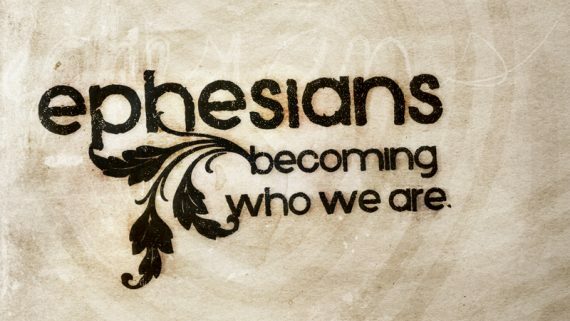 What is the first characteristic of the Ephesian believers? What is the literal meaning of the word “saint”? What religious group has taught false ideas about saints? For this group, what requirements are there to become a saint? What does Scripture say about how to become a saint? How many times does Paul use the word “saint” in Ephesians (NASB: 1:1, 15, 18; 2:19; 3:8, 18; 4:12; 5:3; 6:18)? Why does Paul call them “saints” instead of something else? If you have believed in Christ for salvation, how should you think of yourself? What is the second characteristic of the believers in Ephesus? If they are faithful saints, can there be unfaithful saints? If becoming a saint is by believing in Christ, how does one become faithful? Are you a faithful or an unfaithful saint? 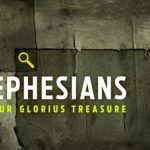 What is one of Paul’s favorite terms found not only in Ephesians, but also in all his letters? Can you think of some of the significance that this phrase might have? What are the two blessings in Paul’s greeting? What acrostic can help us remember what grace means? Is Grace free, cheap, or costly for humans? Is Grace free, cheap, or costly to God? Because of grace, what is the second blessing that is ours? What are the two sources of these two blessings? These are not only the sources of our blessings, but also the sources of Paul’s ________________. What do the three terms in “Lord Jesus Christ” refer to? What does the word “and” reveal about Jesus?